A. God governs the universe by law. 1. To bring about his eternal purposes, God instituted laws to govern his children (see D&C 130:20–21; 132:5; 2 Nephi 2:13). 2. Sin is the willful breaking of the law (see 1 John 3:4; James 4:17). 3. God’s justice requires that a penalty be paid for every sin (see Matthew 5:26; Alma 42:16–18, 22–26; D&C 19:17). 4. All of us sin and are therefore fallen and subject to justice (see Alma 34:9, 16; Romans 3:23). B. Because we are fallen, we have need of an atonement. 1. All of us would suffer an everlasting physical and spiritual death without Christ’s atonement (see 2 Nephi 9:6–12; Helaman 14:16). 2. Because all of us sin, we would have remained subject to the devil forever without the atonement of Christ (see 2 Nephi 9:8–12; Alma 34:8–9; Romans 3:23). C. Only Jesus Christ possessed the qualifications and attributes necessary to perform an infinite atonement. 1. As the Only Begotten Son of God, the Savior inherited the capacity to suffer for the sins of all the children of God (see Jacob 4:5; D&C 20:21; 19:18; Mosiah 4:7). 2. The Savior was free from personal sin (see 1 John 3:5; Hebrews 4:15; D&C 45:3–4). 3. The Savior had power over death (see John 5:26; 10:17–18). D. By means of his divine attributes and the power of the Father, Jesus accomplished the infinite and eternal atonement. 1. Jesus submitted himself to the will of the Father in performing the Atonement (see Matthew 26:39; Mark 14:36; John 4:34; 8:29; Mosiah 15:7). 2. The Atonement was an act of pure love on the part of God the Eternal Father and his Son Jesus Christ (see John 15:13; 3:16; 1 John 4:7–10). 3. The atonement made by the Savior began in Gethsemane and ended at the empty tomb (see Matthew 26:36–46; Luke 22:39–44; Mark 15:25–37). 4. The Savior descended below all things in taking upon himself the sins of all the children of God (see D&C 122:8; 88:6; 2 Nephi 9:21). 5. The suffering endured by the Savior was beyond what any mortal could endure (see Mosiah 3:7; D&C 19:15–20; 1 Nephi 19:12). 6. The infinite atonement affects worlds without number and will save all of God’s children except sons of perdition (see Alma 34:9–10, 12; D&C 76:22–24, 40–43). E. The atonement of Christ harmonized the laws of justice and mercy. 1. Mercy cannot rob justice (see Alma 42:13–14, 24–25). 2. Justice is satisfied by the Atonement, and thus mercy can allow our souls to be cleansed through repentance (see Alma 42:13–15, 22–25; 34:15–16; Mosiah 15:9). 3. Jesus stood as a mediator, or intercessor, for all the children of God in satisfying the demands of justice (see Alma 34:10–16; Mosiah 15:7–9; Isaiah 53:12; Hebrews 7:25; 1 Timothy 2:5–6). 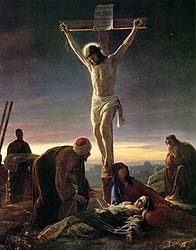 F. The atonement of Jesus Christ is essential for the salvation of all the children of God. 1. The Savior overcame physical death and secured a resurrection for all the children of God (see Alma 7:12; Mosiah 16:7–10; 1 Corinthians 15:21–22; Mormon 9:12–14). 2. The agony and suffering of Christ made it possible for all of us to escape eternal punishment if we repent (see Alma 7:13; D&C 19:15–19). 3. Little children are redeemed through the atonement of Christ (see Moroni 8:8; D&C 29:46–50; Mosiah 3:16–18; 15:25). 4. The atonement of Christ brings everyone back into the presence of God for judgment (see 2 Nephi 2:10; Helaman 14:16-17; Revelation 20:11–15). G. We must do the will of the Father and the Son to receive the full benefit of the Atonement. 1. The Savior came to save all who would obey him (see Hebrews 5:9; 2 Nephi 9:21; Mosiah 3:19; Alma 11:37). 2. If we do not keep God’s commandments, we must suffer for our own sins (see Alma 11:41; D&C 19:15–20). 3. Mercy is extended to those who keep God’s commandments (see Daniel 9:4; Hosea 10:12; Psalm 103:17–18). How does the Atonement of Jesus Christ work for those who lived before Jesus came to earth? 5. Another question is sometimes heard: Why should Christ have volunteered to make this sacrifice? What was the motive that inspired and sustained him from the time of that council in heaven until the moment of his agonized cry ‘It is finished’? (John 19:30). 8. 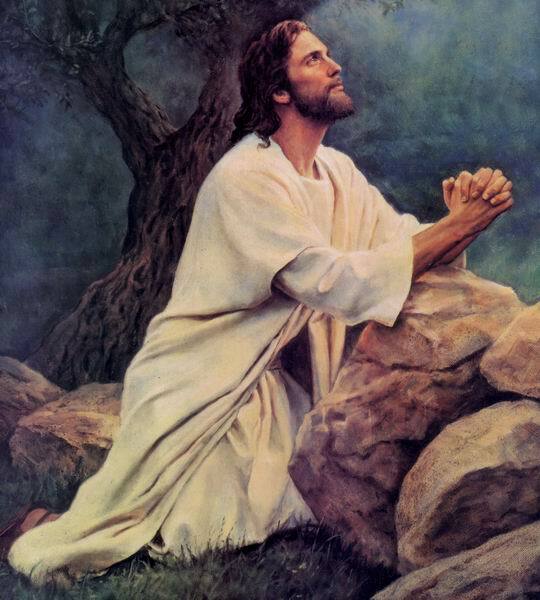 “We are accustomed to saying that the Atonement took place in Gethsemane. In a literal sense this is true, since it was in Gethsemane that Christ took upon himself the full burden and weight of the sins of the world. But the trial of Jesus in Gethsemane would not have been possible and could not have occurred had not it been preceded by a lifetime of sinless virtue, accomplished in the face of the most vehement spiritual opposition. 21. “The Savior, as a member of the Godhead, knows each of us personally. Isaiah and the prophet Abinadi said that when Christ would ‘make his soul an offering for sin, he shall see his seed’ (Isaiah 53:10, Mosiah 15:10). Abinadi explains that his seed are the righteous, those who follow the prophets (Mosiah 15:11). In the garden and on the cross, Jesus saw each of us and not only bore our sins, but also experienced our deepest feelings so that he would know how to comfort and strengthen us…. 24. “His Father looked on with great grief and agony over His Beloved Son, until there seems to have come a moment when even our Savior cried out in despair: My God, My God, why hast thou forsaken me? 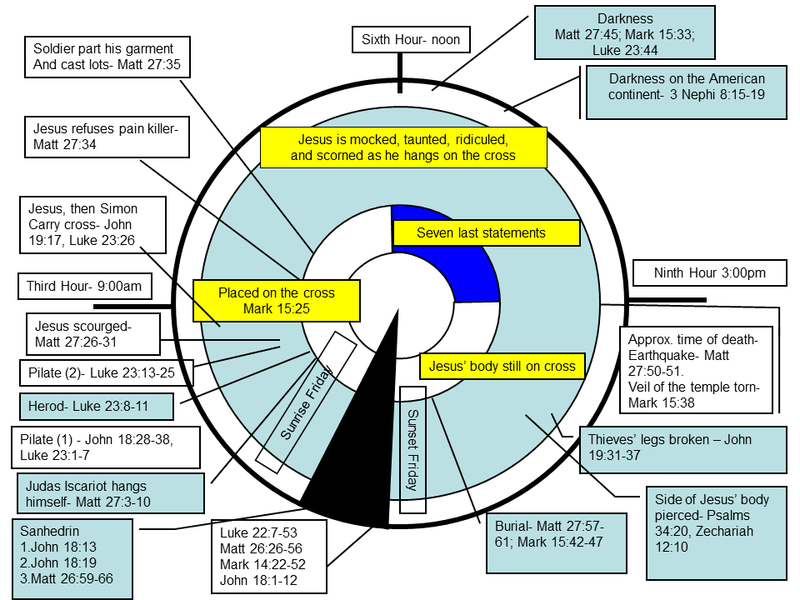 This entry was posted in Atonement, Charts, Grace, Heavenly Father, Jesus Christ, Justice, Mercy, Miracles, Plan of Salvation and tagged Atonement of Jesus Christ, Jesus Christ, Plan of Salvation. Bookmark the permalink.